Invite your friends and family to jump with you or just help us spread the word about our charity skydives. 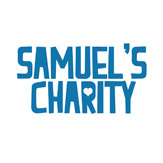 The more people we get to jump the more money we raise for Samuels Charity. Samuel was an amazing 9 year old. He was very ill with a rare type of cancer, Precursor T-Cell Non-Hodgkins Lymphoma. During the five months he was ill he just wanted to help the other children in hospital with him. He was selfless and concerned about others even when he was in pain or scared. This is what is at the heart of his charity. My beautiful boy lost his battle on the 22nd of January this 2014, but his legacy will continue through this charity and help other children like him, when they need it the most. Even the simplest things for ill kids – eating, walking – can be painful or just impossible to do. This has a huge affect on a child. To go from worrying which test they had to do at school or if they’d get in trouble with dad for breaking a plate to taking so many different medicines each day, awful side effects, painful injections, tubes hanging from them, procedures of all kinds, unable to eat or walk or leave their room, not to mention the mental strain and sometimes depression that all this can cause – this changes a child. Accuveins – handheld scanners that show where the veins are so injections are done first time and with little pain. Your support makes what we do possible. Touching the lives of many thousands of children each year really is amazing and we never stop being touched and inspired by the support and help we get.